Let our therapists help with your muscle and joint pain, tension, nerve pain, sciatica, headaches & migraines, back pain, neck pain or shoulder problems, as well as sports and work injuries. Let our foot specialists help with any nail problems, verrucae, corns or callus, ingrowing toenails, fungal nails, diabetic foot problems or orthotic prescription. For help with stress, emotional issues or general relaxation we offer Bowen Therapy, Counselling, Relaxing Massage, Reflexology and Ear Candling treatments. excellent treatment plans, special offers and holistic vision. "I had ingrowing big toenails as a result of separate tripping accidents some 9 years ago and have had pain and discomfort since. Wearing shoes could be painful and driving made the pain worse. I had tried other clinics who offered no solutions to the problem and said it was something I had to put up with. I found Absolute Health on the Website and then spoke with staff about my issues. That contact made me feel confident that Absolute Health could help me. On attending my first appointment I was delighted with the service that Ian Daykin provided. At the end of my first appointment I left without pain having been offered advice and solutions. I felt like I had a new pair of feet! My only regret is not finding Absolute Health sooner." "I have been visiting regularly for about 3 years for treatment to my ingrowing toe nails and have experienced a very big improvement in foot comfort. Staff at A.H. are friendly and professional - always ringing appointment reminders etc. Each session the therapist takes care to listen to me and to act with great skill to solve any problems. I thoroughly recommend this practice." "I came in real pain with my lower back, the pain travelling right down my leg to my ankle & foot. The treatment I have received from Richard has been fantastic and some 4 weeks later everything is so much easier. Am doing Pilates exercises as well each day to complement the treatments. I shall certainly be coming back at the first sign of any problem again and can't thank him enough. To be able to sleep the whole night through once more is wonderful." "Ian was brilliant. Examination, assessment, treatment options and treatment carried out to a very good standard. Really well done!" "My shoulder was giving me intense pain and lack of strength for over a year. I finally made the effort to visit Sophie for some Osteopathy. Within 3 visits I had no problems with the shoulder. I should have had the treatment a lot sooner. It is now 11 months later and I have had no further problems." "Before going to Absolute Health I was pretty much house-bound. I had lower back and shoulder pain, didn't walk more than 50 yards; after my second treatment I ventured out to the garden; after 3 to 4 treatments, the local shop. I am now going into town on the bus, meeting with grand-daughter and friends. I've got my life back - thank you Absolute Health." "As a retired person who loves walking, I was dismayed to have problems with my feet. After an initial consultation with both Richard (Osteopath) and Ian (Podiatrist) appropriate treatment was recommended. 3 months later the problem has been satisfactorily resolved. I was really impressed with the professional and friendly atmosphere at Absolute Health. Thank you all." "I have had various treatments in recent years for back problems, I had Absolute Health recommended to me, and have found more relief through Sophie's treatment than anywhere else I have been; not only is she thorough, she was caring, and explained to me what she was doing. I am 85 years of age and mine can't be the easiest body to work on. I have more movement in my back and neck than I have had during the last few years. Thank you so very much Sophie." "Having arrived here a little stressed (moved house, divorce, new promotion at work, recent surgery) I had the most wonderful relaxing massage, and am walking out a far more calm, relaxed and comfortable person - ready to face the next challenge! Will be back soon for another, that was so lovely! Thank you Sarah, so professional and charming." "Having suffered excruciating pain in my lower back I decided to visit Absolute Health for a consultation and treatment. The approach was very professional, a thorough case history was taken and from the first appointment I left with no pain in my back nor pins and needles in my leg and foot. I slept soundly for the first time in ages! The manipulation and massage was gentle yet effective. The approach was holistic rather than symptomatic. I highly recommend this clinic for their professional approach, excellent treatment plans, special offers and holistic vision." "I just wanted to say thank you for the excellent and enjoyable treatment I have had recently at your clinic. I am a really busy dance, fitness and yoga instructor, and had been experiencing sacroiliac pain in my left side for some time. It became clear that it wasn't going to get better on its own, and I was unable to determine the root cause. Sophie is extremely thorough, and was able to pinpoint what was causing the problem almost immediately. After just 3 treatments I have no pain in that area at all - and I have plenty of opportunity to test that out on a daily basis!! The treatments were really gentle, and Sophie gave me a really good insight into how it would work on an ongoing basis once I was out of the treatment room too. Brilliant." "I fell down three times and did not realise I had hurt my knee. When I tried to kneel on my knees, something gave way and I had excruciating pain and found it very difficult to walk. This happened in November 2009. I started Bowen treatment in Feb 2010 and this treatment has made a tremendous difference. I had regular weekly treatments which has been so beneficial. I am nearly 100% better now. I have recommended this treatment to many people after my experience." "After suffering ongoing foot pain for several months and not getting anywhere with my GP, I visited Absolute Health and had some Osteopathic treatment. After 3 visits I have seen great results and a huge reduction in pain. As well as 'hands on' treatment, I have been given good advice on how to help myself at home with exercise and massage." "After suffering from corns and hard skin on my feet for several years, I went to Absolute Health for treatment and advice. I have received several sessions of treatment which are keeping the problems under control. At all times I have been shown the utmost courtesy and friendly reception and the staff have been completely professional and kind.I would recommend Absolute Health for all the various therapies they offer." "My life is very stressful and I hardly get any time to myself, so I decided it was healthy for me to find the time to relax. I visited Absolute Health after looking on their website. I first tried reflexology and was amazed at how relaxing and beneficial the treatment was. I have been coming back for reflexology ever since and even tried a few other treatments. I always look forward to the next upcoming therapy." "I am something of a veteran to spinal problems caused by a variety of reasons: work, bad posture, inadequate mattress, sporting participation etc. As such I have found the need for Osteopathic treatment and remedies all over the U.K. due to my work assignments. All have been excellent and have not only alleviated my suffering, but they have effected a swift return to work. I often say of Osteopaths that 'magic runs through their fingers' - this is certainly true with this establishment." "This treatment has made a lot of difference to me. It has relieved my pain. My body feels 'free' when I do my day to day activities. Before this treatment I had to rest in between doing my household chores or had to continue even though I felt tired and in pain. I also sleep much better. I am definitely going to keep coming back. It's really worth the money as the benefit is so great." "I have used Absolute Health for many years for chiropody - manicures - aromatherapy in addition to having had some consultations for osteopathy which are always positive experiences. The treatments I receive are excellent and I always feel better from the self esteem aspect when I leave Absolute Health. 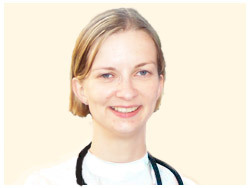 I am always treated with courtesy and respect and all the clinicians are friendly and caring." "As a widow my mobility is very important to me but several months ago my right foot became very painful making walking for more than half an hour almost impossible and I had to wear shoes with plenty of padding. I visited Absolute Health and have had approx. six treatments with Sophie who also gave me some simple exercises to do at home. I am really pleased to say I am now virtually pain free and can go out for a walk without giving my foot a second thought." 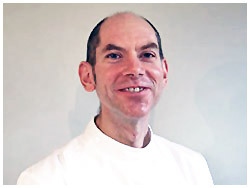 Richard is an Osteopath offering holistic and manual therapy treatments for back pain, neck pain, headaches and migraine, joint problems as well as for general relaxation. 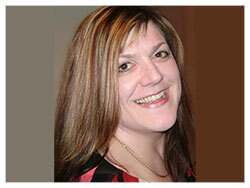 Jules qualified as a Counsellor with a Diploma in Contemporary Psychodynamic Counselling in 2007. She has graduated with honours degrees in Counselling and Psychology and has obtained a postgraduate certificate in CBT. Podiatrist, qualified since 1989. 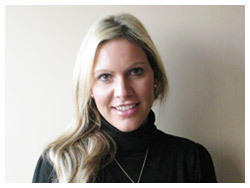 Sarah is highly experienced in advanced biomechanics, diabetic foot care and nail surgery. Gained a BSc in 1997 and Certificate in Professional Studies Sports Podiatry in 2000. 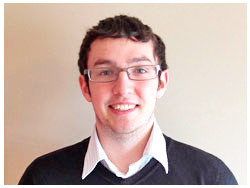 Podiatrist, graduated in 2011 from University of Plymouth. Ian is experienced in nail surgery and is also interested in foot biomechanics (offering an assessment and prescription service for custom made orthotics). Podiatrist, graduated in 2011 from University of Northampton. Tim offers routine chiropody treatments as well as biomechanical assessments and foot mobilisation techniques. Tim also offers Verrucae Needling treatment. 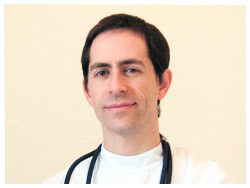 Podiatrist, qualified in 1998 from University of Brighton. 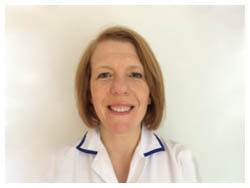 Vanessa also offers Reflexology, Low Level Laser Therapy and Chiropody Foot Spa treatments.